I found a few hundred of these while exploring the very dark and cold basement of a two hundred year old building in MA. At first I kept my distance but I noticed that they moved extremely slow and only reacted to light or being touched. There was no eyes or fangs visible. Just the large white puffs on their body and joints. I didn't understand how something could grow so large without a mouth or the speed to catch anything. 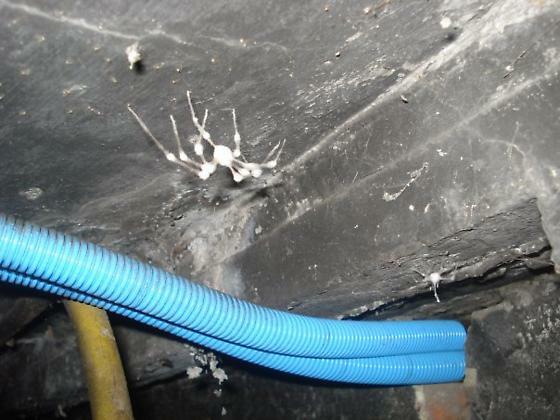 I then realized that the white "puffs" where something that was growing on a normal cellar spider by seeing one that was only half covered in the fungus. Those poor spiders.